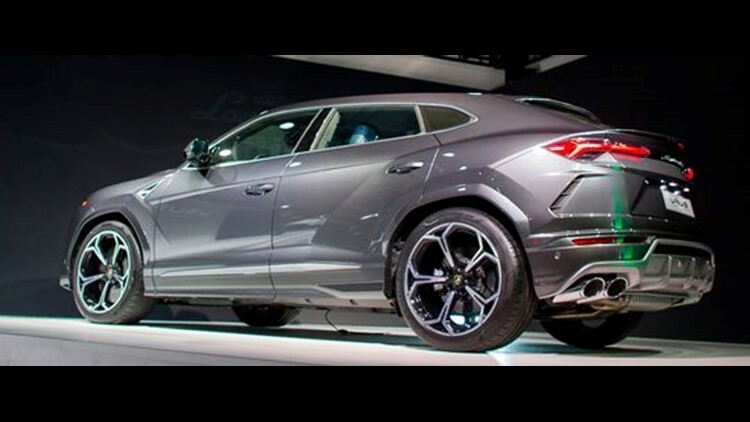 In an Instagram video taken at the celebration Saturday, John Gray, pastor of Relentless Church in Greenville, SC, led his wife to a bow-wrapped car and handed her the keys while saying "Lamborghini Urus." GREENVILLE, S.C. — The new pastor of a South Carolina megachurch gave his wife a $200,000 Lamborghini SUV for their eighth anniversary five days ago, and he's been getting heat on social media for it ever since. In an Instagram video taken at the celebration Saturday, John Gray, pastor of Relentless Church here, led his wife to a bow-wrapped car and handed her the keys while saying "Lamborghini Urus." He later acknowledged on social media that he had bought the luxury vehicle for her and responded to criticism of the purchase. “Pastor buys his wife, you know, this expensive car," Gray said. "First of all, it wasn’t a pastor that bought the car. It was a husband that bought the car. Get that in your spirit." On social media, some people question his wealth. “Did this man use any money from the church to do this? And the answer is no. Absolutely not," Gray said. Many people like Carolina Lugo have his back. “Being married, if my husband gave me one, I would think that he loves me more than he loves money," Lugo said. The video of the presentation, which he had not posted, was taken down. "God helped me to make my wife's dream come true," he wrote in an Instagram post Tuesday night. "Why not? She's made mine come true!" By Thursday, he was on Facebook Live, tearing up at times as he defended his decision and said the sport utility vehicle was bought with "not a nickel, not a penny" of his salary from the church or other church money. "My wife has pushed for my dreams and my vision, and she has toiled with a man who is still trying to find himself," Gray said. "That carries a weight. I wanted to honor her for how she’s covered me." Gray, 45, took over leadership in May of Relentless Church, which had five campuses and an active membership of 22,000 when church founder Ron Carpenter handed him the reins of what had been called Redemption Church for 27 years. Carpenter moved to San Jose, California, to become pastor of Jubilee Christian Center, which he renamed Redemption Bay Area Church. Gray, who is a Cincinnati native, also remains an associate pastor at Joel Osteen’s Lakewood Church in Houston while taking the lead at Relentless. Gray has control of the assets of the Greenville church, its vision, and the future of its ministry. As the pastor of a nondenominational, evangelical megachurch, Gray is in a relatively small club. As of 2015, the United States had about 1,650 Protestant churches whose weekly attendance averages 2,000 or more, according to the Hartford (Conn.) Institute for Religion Research. As of 2012, only 40 of about 300,000 churches across the USA had more than 10,000 worshipers each Sunday, the institute's analysis of Duke University's National Congregations Study showed. Greenville's median household income from 2013 to 2017 was a little less than $54,000, about $4,000 less than the U.S. as a whole, according to the Census Bureau. With median income, the midpoint, half of all households in this city of about 500,000 residents make more money and half make less. Gray said he has saved his money for years and drew on a variety of sources financially including his second book deal and the fourth season of The Book of John Gray, his Oprah Winfrey Network reality-TV show, to pay for the gift. On he and his wife's honeymoon eight years ago, they were so broke that he said they had to share a shrimp cocktail. His wife, Aventer Gray, defended her husband Sunday in her own Instagram post, saying he gives away cars and furniture as well as coats off his back in addition to tithing to the church. The pastor recently said that people in need, especially widows and veterans, should take money from the church's donation baskets. "I don't see anyone screaming about how basketball players drive what they do while you paying $$$ to see them play in arenas and on fields," she wrote on Instagram. "We don't live for people! We live for God!" In a December 2017 interview with The Greenville News when he was hired, John Gray defended pastors who drive fancy cars. He said he had few indulgences and one of those was to own a fine car. "If the individuals that are serving are honorable and they are committed to serving, if they have saved their money and want to do something nice for their spouse — or they want to live in a (nice) home — you’ve got one life," he said a year ago. In February, the couple went to the NBA All-Star Game in Los Angeles, and at their hotel was a presentation for the luxury vehicle, John Gray said. "I saw my wife's eyes light up," he said. "She said, 'This would be a dream,' and that's all she had to say." The pastor put down a deposit and hasn't paid off the SUV but questioned the criticism he has received. If he had bought her a mid-sized, mid-priced sedan, no one would have cared, John Gray said. With the income from his other projects, he said he can afford to make her happy.